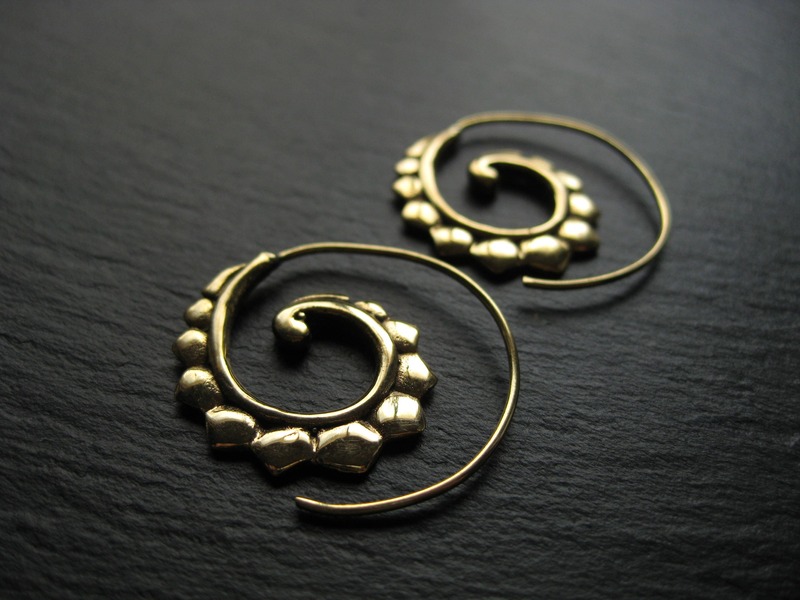 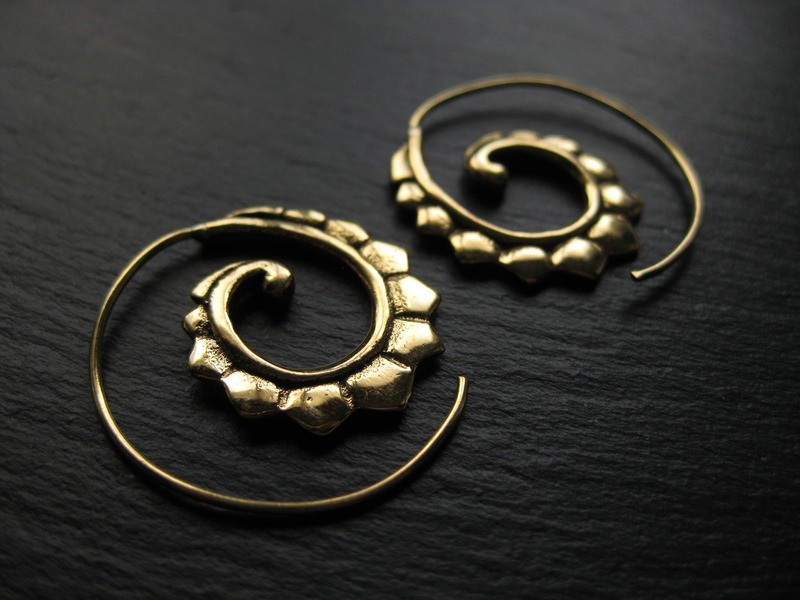 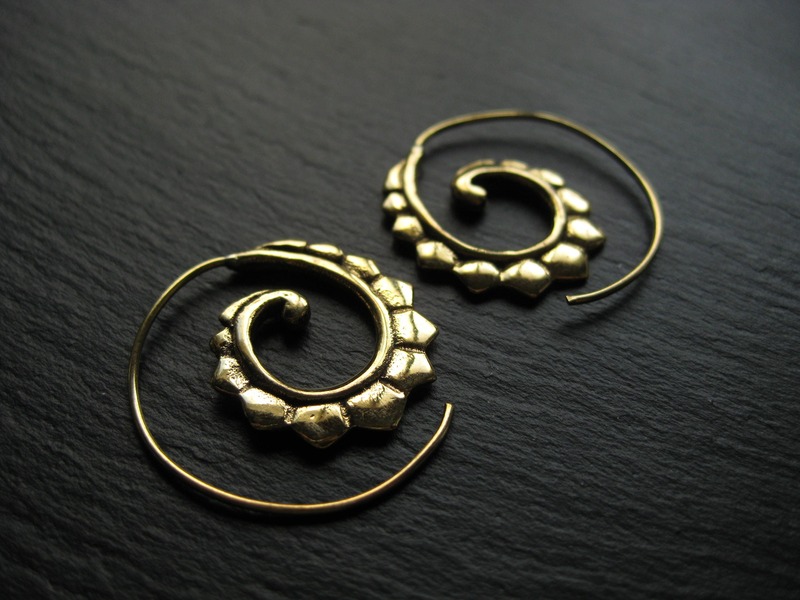 Small and edgy spiral brass hoop earrings inspired by reptiles physionomy. 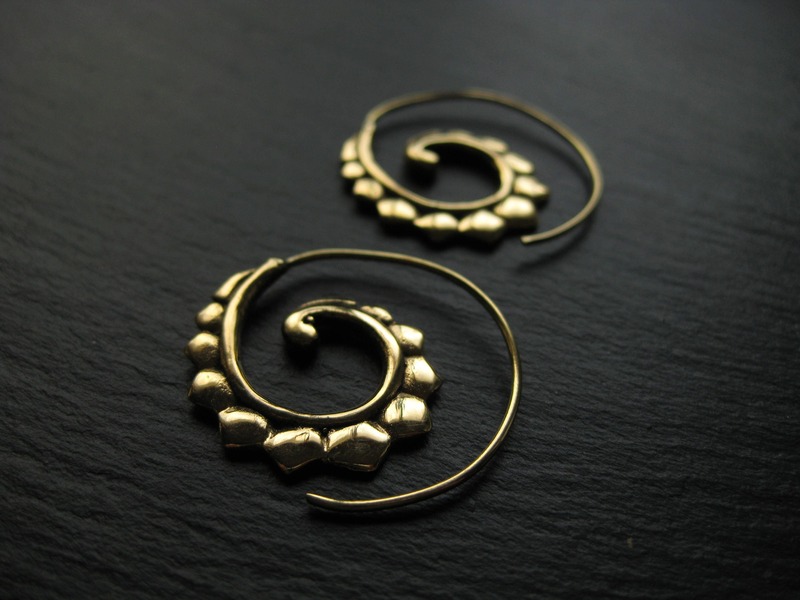 Super light and comfortable, the earwire is made for regular piercings. 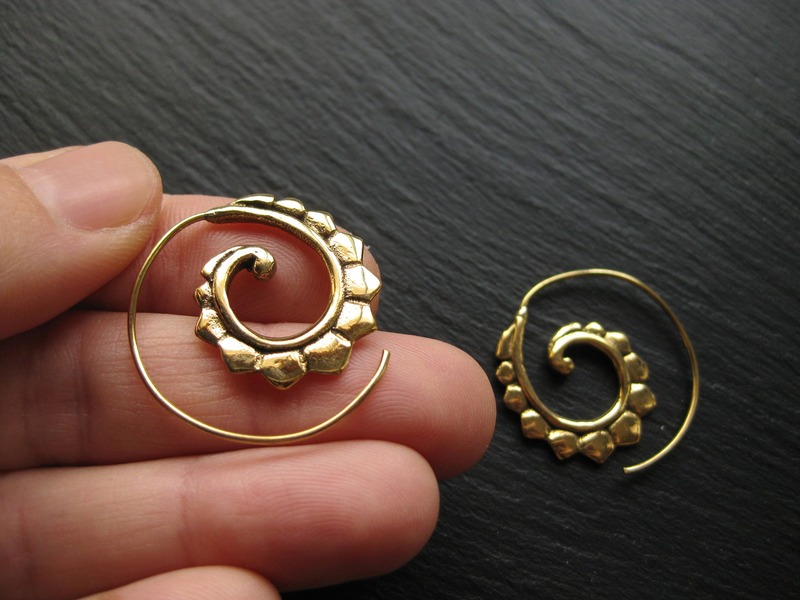 To position the earring, gently push the wire through your piercing all the way to the beginning of the design.